Stress and chronic fatigue are common complaints in today’s world. Finances, taking the kids back and forth to their activities and school, relationships, pressures at work, and family can all be sources of stress and fatigue. They all take a toll on the health of our brain. On top of this, most of us sit all day, staring at a computer at a job that many of us don’t even enjoy. Chiropractic care can help you cope in the modern day world of stress and reconnect you to your purpose. Human beings are designed to fight or run as a means of survival during acute stress. For example, if you were walking down an alley and you were attacked by a person trying to hurt you, you would have two choices: fight or run. The big part of your brain behind your forehead (prefrontal cortex) that is responsible for your personality, knowing right from wrong, decision making, keeping you calm and relaxed, and good social behaviour is shut down when you are stressed. You don’t need this part of the brain when your life is in danger. You need to react quickly. The mid part of your brain (the amygdala and hypothalamus) is the primal or oldest part of your brain. It is reactive and instinctive. When you are under attack, your muscles tighten up and draw your posture forward ready to run or fight. Your heart beats faster, blood pressure goes up, and you breathe faster. Stress hormones are released (adrenaline and then cortisol) into your blood. When you have prolonged stress the same thing happens just at a less intense level. Your ability to make good decisions is impeded. Your stress tolerance goes down and you get moody and irritable. Your muscles and nerves in your spine get tense and your shoulders, head, and ribcage are drawn forward. When your body holds this stress and tension for long periods of time you can start to get headaches, neck and shoulder pain, low back pain, and numbness and tingling down your arms. Your rib expansion decreases, you find it harder to breathe, and your blood pressure increases over time. your blood sugars can increase, you can become insulin resistant and develop type 2 diabetes. 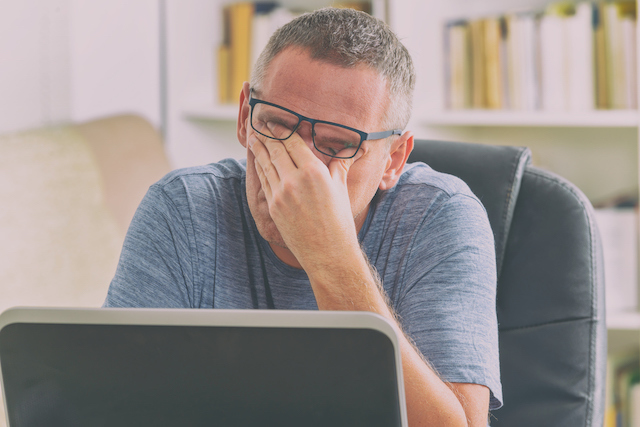 extreme fatigue can set in when you wake up or early in the afternoon. What does high cortisol do to your brain? decreases the rate at which new brain cells are made. When you are in this pattern of chronic stress your brain degenerates. This can result in brain fog, difficulties in communication and word recall, problems with memory, anxiety, depression, and other degenerative disorders of the brain. Your body is designed to handle or adapt to stress for short periods of time. However, when the stress exceeds what you are capable of handling, you reach a state of exhaustion and flat out chronic fatigue. You hang on by a thread every day. This is no way to live. You are supposed to feel clear in the head, vibrant and full of energy. Although there are many ways to manage your stress levels, regular chiropractic care can help you cope in the modern day world. It can help break you out of your pattern of stress. Chiropractic adjustments to the bones and joints in your spine and extremities that are holding stress and tension, help calm your nervous system and brain down. The adjustments can help turn on your prefrontal cortex. This helps to release the stress and tension in your body, opens up your rib cage, increases your mobility, and can help you stand more upright. You can breathe more deeply. You can think more clearly. You can relate to other people more calmly. You can heal better. It’s like passive meditation (wink). Does chiropractic care help stress levels and fatigue for everybody? At some level it would. Many people notice huge improvements in their strength, energy levels, and mental focus. But not everyone will PERCEIVE this. Some people are just so overloaded with stress and fatigue they need multiple kinds of treatments to bring them out of that state of “dis-ease” into a state of “ease” or calmness. However, chiropractic care would be an integral part of that treatment. Are you or your children struggling with stress and fatigue? If you are, I encourage you to find a chiropractor you are comfortable with and at least try it. It could change your life drastically. Now I would like to hear from you. Have you tried chiropractic care to help release your stress and fatigue? 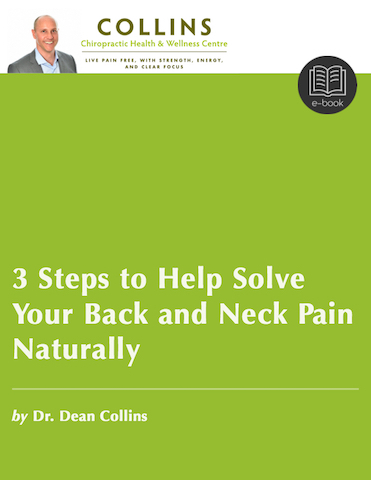 Have you found it helps you live pain free? Does it give you more strength? More energy? Does it help clear your head so you have better focus? I have had noticeable changes in mood, energy and outlook in addition to physical pain relief from chiropractic care. Two chiropractors in the past have checked me for ‘neurological switching’ at times when I was especially emotional or feeling intense, seemingly uncontrollable anger, sadness and weeping. This specific adjustment gave me very quick relief! Dr. Dan (my dog’s chiropractor) checks our dog for ‘switching’ from time to time. LOL – sometimes I’ll get him to check me for switching too. Very interesting ! Thanks Joanna! Good reminder I should check for switching more often on people.